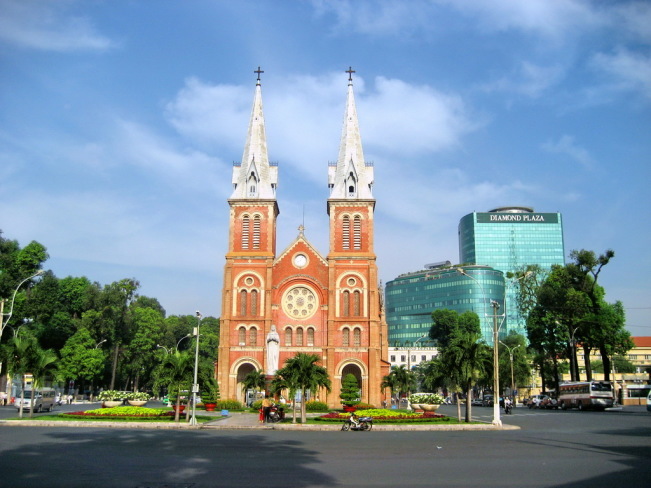 Ho Chi Minh City, or Saigon a fast-paced metropolis full of contrasts, with street vendors selling fruit and vegetables next to glitzy western-style bars and boutiques, join day tour Saigon city, you will visit some typical interesting sights of Ho Chi Minh City such as the War Remnants Museum, the Reunification Palace, Notre Dame Cathedral, the Central Post Office, and the Thien Hau Pagoda in Cho Lon. 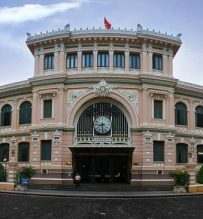 War Remnants museum, which relates to the American phase of the Vietnam War. 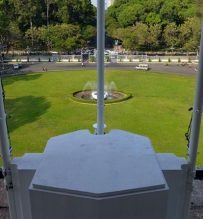 See displays of old military equipment and other related objects as well as larger exhibits including an F5A fighter and a UH1-Huey helicopter. 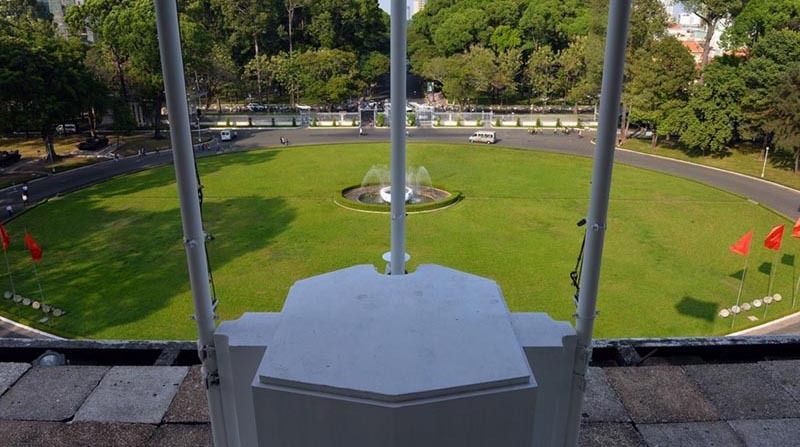 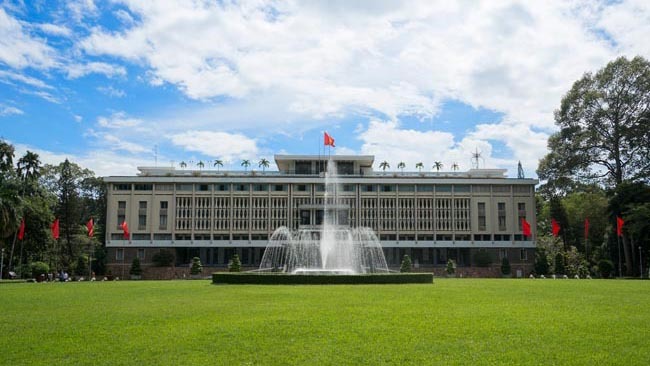 Reunification Palace formally known as the century-old Presidential Office, which witnessed the growth of Ho Chi Minh City during peacetime and throughout the Vietnam War until its end in 1975. 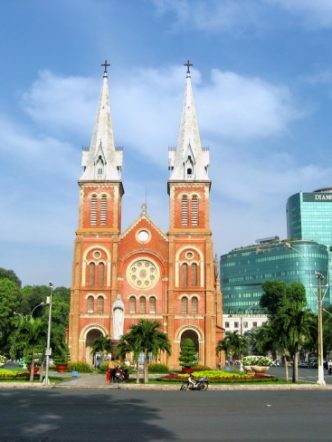 Continue to the nearby French colonial area, including a stop at the impressive Saigon Notre-Dame Cathedral, discover the magnificent neo-Romanesque architecture as you take in the tranquil atmosphere inside. 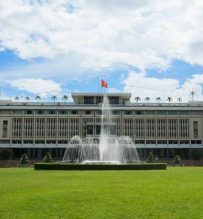 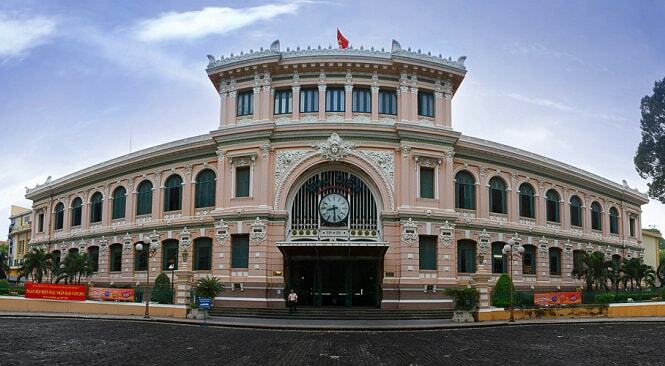 At the opposite Central Post Office, one of the oldest buildings in Ho Chi Minh City, learn about this significant landmark — the busiest post office in Vietnam. 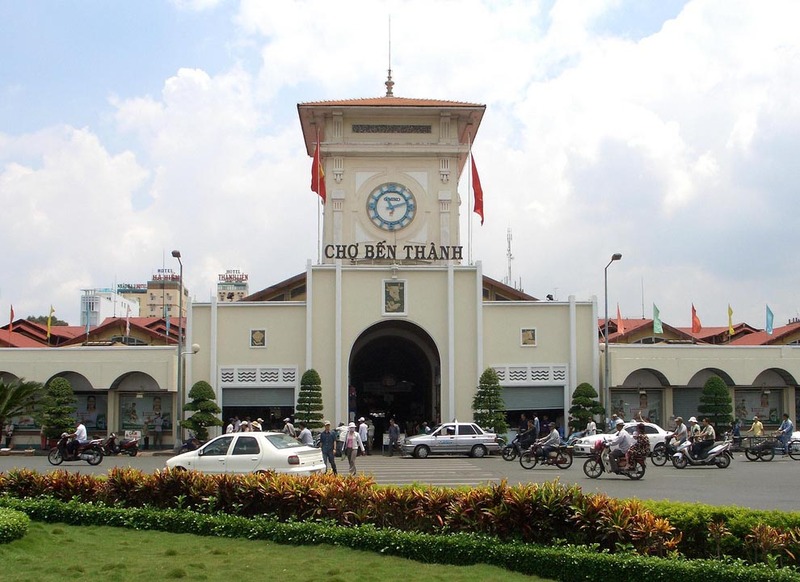 Afternoon: head to China town, the biggest Chinese community in Vietnam, then we’ll visit the Thien Hau Temple, a Chinese temple which has the beauty and spirituality of the traditional architecture and Binh Tay Market (Big Market) the biggest wholesale market in Saigon. 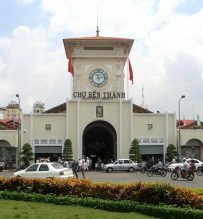 End this Saigon day tour at your hotel or Ben Thanh Market, a lively market in central District 1, where your guide can help you barter for goods.